The Finance Act, 2015 had introduced section 192(2D) of the Income-tax Act, 1961 (the Act) wherein the person responsible for making payment of salary (employer) was obliged to collect the necessary evidence or proof in the prescribed form and manner to allow any claim for any deduction and/or tax saving investments. However, the relevant rules and form were yet to be prescribed. The Central Board of Direct Taxes (CBDT) has come out with the relevant rules1 and also prescribed the form i.e. Form 12BB, in which salaried employees would now be required to furnish evidence of claims and tax saving investments to the employer. Till Finance Act 2016, there was no standard format for salaried employees for filing declaration with their employer to claim deduction for savings under Section 80 C, payment of house loan interest under Section 24, and HRA exemption under Section 10. In the absence of single declaration form, employees had to submit proof for each investment made in the year. As a relief to employees and also to employer, Income Tax Department has introduced a new Form 12BB. This form, applicable from June 1, 2016, will act as a single entity that you can use to declare your to claim deduction for savings under Section 80 C, payment of house loan interest under Section 24, and HRA exemption under Section 10. The standard Form 12BB is for all salaried Employees to claim tax deductions. You use can use it to claim deductions for leave travel allowance (LTA/LTC), house rent allowance (HRA), interest paid on home loans, and all other tax deductions pertaining to Chapter VI-A of the Income Tax Act. With form 12BB, you can claim any HRA tax deductions under Section 10 (13A) of the Income Tax Act. Along with 12BB you will need to provide the relevant rent receipts for this deduction. You will also need to submit the name and address of the landlord. In the event the aggregate rent paid by you exceeds Rs 1 lakh, you will also need to submit the Permanent Account Number (PAN) of your landlord. With Form 12BB, you need to furnish amount and provide evidence of expenses made towards your travel. Unlike in the past, it is now mandatory to provide proof of all travel expenses in the form of receipts for your claim. Earlier to claim deduction for interest paid on home loan, we have to submit interest certificate from the concerned bank. Now, in addtion to the same we will have to fill up Form 12BB to claim deductions under Section 24 of the Income Tax Act. 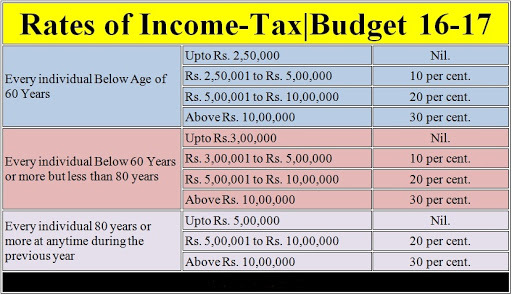 All tax deductions under Section 80C, Section 80CCC, and Section 80CCD, as well as other sections like 80E, 80G, and 80TTA come under Chapter VI-A of the IT Act. For deductions, fill up Form 12BB and provide details and proof of your investments and expenditures incurred related to the relevant section you are seeking deductions under.